For 65 years our mission has been to surpass each customers' high expectations by providing the highest quality overhead door products. 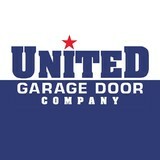 United Garage Door sells complete lines of both CHI and Haas garage doors. We offer replacement parts for over 80% of garage doors currently in use. United sells a variety of opener models from Liftmaster, Sommer, Linear and Hormann, with all accessories available to accompany them. Looking for a custom wood section? Here at United we have the ability to order wood sections made specifically for your needs! CHI is now offering Accents Woodtones! Focusing primarily in the wholesale market, we cater to small businesses all over greater Ohio and western Pennsylvania area, while still offering parts and services to the general public. In 1978 we started our company with the belief that people mattered and that exceptional customer service and quality products were the essential to any business. Nearly 40 years later, we are still a small family-run business committed to exceptional quality and service at competitive prices. We sell and service most major brands of door and opener including: Clopay, Amarr, Wayne Dalton, CHI, Haas, Liftmaster, Genie, Allstar Chamberlain and Sears. Broken spring are our specialty. Located in Norton, Ohio, we serve Summit County, parts of Medina County, and Wayne County. 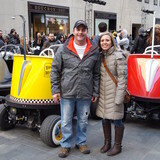 With service that is often same day, as well as phone assistance, we commit to providing a higher level of customer service, which is one reason we have chosen to stay small; we don’t want our service to get lost in the “big company” mentality. We are also committed to reliability. When we tell you we’ll be there, we will be. We’re also committed to keeping our prices competitive by offering flat fees on standard services and by walking our customers through common problems over the phone in order to avoid fees incurred by service calls whenever possible. Our commitment to service has kept us in business for nearly 40 years. We look forward to another 40 years of serving the Norton, Ohio area and you. Contact Davis Door today and discover why we’re your trusted name in garage door installation and repair. We Sell the Best and Fix the Rest” Midway Garage Doors is a high quality, respected American garage door dealer for industrial, commercial, and residential applications. 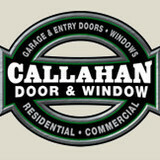 We've been in business since 2005 and we currently serve the areas of West Farmington, Cortland, Warren and Boardman. There is lots of competition in this market, but at Midway Garage Doors, we thrive to be the best solution for our customers by being efficient, professional and by knowing all our products better than anyone. 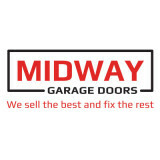 The installers and technicians at Midway Garage Doors work hard to ensure you have a fantastic experience when it comes to every aspect of your new garage door. We will bring our showroom to you, show you the product and compare its benefits with the competitors. We always want to make sure our customers know and realize what they’re getting for the price, quality doors that are durable and reliable. We are fast and efficient, and we ensure that the work sites are cleaner than when we arrived! We offer a wide range of different services and products for our customers. We feature LiftMaster, one of the most popular garage door opener brands, along with a number of accessories for your door. We can fix and repair all competitor brands. Jobs, big or small, we can cover it. We're also very proud to be a member of the International Door Association (IDA), as well as the Better Business Bureau. Come into our location and check out our showroom to see what we have available. In addition, you can call us to get a free quote. Our office at 6746 State Route 534, West Farmington is open Monday through Friday from 8 AM to 5 PM. Thank you for considering working with our company. We hope you will get in touch soon, so we can provide you with the garage door of your dreams. 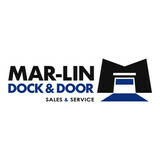 Mar-Lin Dock & Door is a garage door specialist for residential, commercial, agricultural and industrial applications, proudly serving the Leamington, Windsor, Chatham, Ridgetown, Kingsville, Essex, Tecumseh, LaSalle and Amherstburg area. We would love for you to visit our showroom at 427 Seacliff Dr E. There, our team can give you personalized advice in purchasing a garage door, an installation that meets the highest industry standards, and unequalled after-sales service thanks to our maintenance and repair program. Our full range of products also includes electric garage door openers as well as many other accessories to go with your garage door. Think of us when it comes to buying, installing or repairing any type of garage door. Our showroom is located at 427 Seacliff Dr E in Leamington and is open Monday to Friday from 8 AM to 5 PM, Saturday and evenings by appointment. I invite you to come and visit us, and on behalf of our entire team, I thank you for considering our company. *Authorized Clopay Dealer* Precision Door Service of Akron was opened in 2001 and proudly serves Akron, Canton & Surrounding Areas. We are a full service garage door company specializing in Garage Door Repair, Garage Door Installation, Replacement Garage Doors and repair of Garage Door Openers. You can rely on Precision Door Service of Akron to provide the type of service you would expect from a locally owned company, while enjoying the security that doing business with a National Franchise company can bring. Each location is owned & operated as an individual franchise. Our slogan is "We Fix Garage Doors Right"™ and we spend a lot of time defining and redefining what that means to us as a company and what it means to you as a consumer. This singular focus has led us to pioneer the industry standard warranty for garage door repair and a training program for technicians that is second to none in the garage door industry. Precision Door Service of Akron was opened in 2001 and proudly serves Akron, Canton & Surrounding Areas. We are a full service garage door company specializing in Garage Door Repair, Replacement Garage Doors and repair of Garage Door Openers. We have been serving the greater Cleveland area Since 1990. Family owned for the best possible service. Our goal is to due the job right the first time to enusre your satisfaction! "All Our Work is Guaranteed"
· Most Service calls dispatched within 24 hrs or less · Existing Door and Operator (Opener) Repairs · Installation of New Garage Doors and Operators · Experienced Quality Workmanship at fair and reasonable rates · Knowledgeable and Friendly Technicians · Generous supply of aftermarket parts in our warehouse for installation or pick-up. Lost your car remote? Come in and pick one up or phone us and we will UPS it to you. For garage door installation, repair and service that you can trust, the choice is Automatic Garage Door Company. We have served Northeast Ohio since 1985, providing an outstanding level of customer care as we install quality, brand-name garage doors and accessories for both residential and commercial applications. Since 1954, Action Door & Window has been “opening your doors.” In the past, we focused primarily on the repair and replacement of garage doors and operators. As the years have passed, we have grown to be known as one of the most reputable and dependable garage door companies in northeastern Ohio. Now, at the request of hundreds of satisfied customers, we have expanded our services to fulfill your needs for replacement windows, entry doors, patio doors, storm doors, carriage house doors and more. Our commercial and industrial departments are second to none. We carry a full stock of garage door and opener replacement parts. Our service technicians are available 24 hours a day for emergency service for your home or business. Action Door & Window also has a strong commitment to quality customer service. Our trained technicians repair and install all types of garage doors, garage door operators and entry door systems in the residential, commercial and industrial markets. Welcome to Faircrest Door. We are a premier garage door company serving commercial and residential customers throughout Canton, Ohio, the surrounding Akron, Ohio area and parts of Cleveland, Ohio. Since 1995, we’ve delivered reliable services at great rates! At Faircrest Door , we repair, service and install all brands of commercial and residential garage doors, operators and openers including Wayne-Dalton, Overhead Door and Clopay. We employ nine technicians who have each received training in both commercial and residential repairs and installations and together, they have over 65 years of combined experience. With a highly skilled staff and commitment to excellent service, our goal is to keep your business for life. We’re the experts you can rely on for: Garage Doors, Operators And Openers Sales, Installation, Maintenance And Repairs Residential, Commercial, Industrial, Municipal We are a certified dealer for Genie operators and Stoett Industries’ screen door products and have been a four-star distributor of Carriage House Inc. (C.H.I.) Overhead Doors in five of the last six years. If you would like to schedule repairs, service or installation, contact us today. Bill Bird (our current president) and Jason Miller (our current vice president) both act as estimators and will provide you with a fair and accurate assessment. More About Us In recent years, the garage door business has seen numerous companies enter the arena looking to make a quick dollar. These companies usually start strong, but fade quickly. Faircrest Door has been in business since 1995 and each year, we become stronger and stronger. In 2006, we made drastic improvements to our store. A retail showroom was added to the building. This allows the company to showcase its doors and to serve the public better in the sale of various door parts kept in stock. A warehouse was then added to the rear of the building to house various stock doors, springs, operators and other various parts. This allows the company a shorter lead time when time is an important concern to the customer. Three brand new service vehicles were also added to the company’s fleet in 2007. Today, we are continuing on our tradition of providing quality service and competitive pricing. Garage Door Openers & Doors Inc.
Garage Door Openers and Doors is a locally owned and operated business serving the area for 31 years. Our employees have a combined total of 48 years experience servicing and installing garage doors and openers. No job is too small or too big. We have installed doors as small as 4 ft. wide by 4 ft. high and as large as 26 ft. wide by 24 ft. high. We have an A+ rating from the Better Business Bureau and encourage you to call the BBB to confirm this. We have been voted Best of the Best for the last 5 years by the readers of the Salem News. The C.H.I. doors we sell have a lifetime warranty on splitting, cracking, and rusting through. This warranty is in effect as long as the original purchaser owns the building the door(s) were installed on. We have been chosen as a 4 Star Distributor by C.H.I. for the past 4 years, which is a testament to our professionalism. The Genie openers we sell have a limited lifetime warranty on the motors and a five-year warranty on all other parts. The latest lines of Genie Openers come with quiet D.C. motors and lead the industry in innovations. We offer prompt professional and usually same day service. Same Day Service - Emergency Service - Free Estimates Gandert Door Company has been providing top quality installation and service for residential, commercial and industrial garage doors since 1970. With over 44 years of experience we can provide the best in garage door sales and service to meet your needs. Our team of technicians is quick to repair broken springs or replace cables. Affordable Garage Inc. will build a quality garage at an affordable price. Deal directly with the owner, Vito Magistro. From tear down through the re-build, Vito will remain on-site during the whole process. Affordable Garage Inc. is proud of the work we do and we stand behind it. Affordable Garage Inc. is a family owned and oriented company located in Cleveland, Ohio. Owner, operator Vito Magistro has over 30 years of experience in the field, and it shows by the incredible work that he does. Homeowners often underestimate the aesthetic value of garage doors, but they’re actually a great opportunity to boost a home’s curb appeal. That’s where garage door sellers and installers come in. Whether you are building your first home or remodeling an existing one, a garage door dealer in Parma Heights, OH can help you choose a stylish garage door that will enhance your home’s exterior and provide security for your car and belongings. What kind of services do Parma Heights, OH garage door dealers and installers provide? Find garage door sellers and installers in Parma Heights, OH on Houzz. Narrow your search for Parma Heights, OH garage door sellers and installers by selecting the nearest city or zip code. Look at portfolio and product photos, and read reviews to find the best Parma Heights, OH garage door professional for your home.